Mr James A R Main died suddenly at his beautiful residence Craig-na-Huille, Skelmorlie, NB on Saturday 1st inst. He was the founder and senior partner of the well-known firm of A and J Main and Co, Glasgow, and by his perseverance and energy had established very successful branches of his business in London, Edinburgh, Dublin and Calcutta. The deceased was born at Dalhousie, Edinburgh, his father being for many years agent on the Whitehall estate. Early in his life Mr Main exhibited a taste for engineering, and was not long in starting a manufactory in Glasgow, which, although of small dimensions at first, quickly grew as the business developed. Soon the well-known Clydesdale Ironworks had to be built, and as the remarkably large trades in hay barns, iron roofs, bridges, fencing and gates rapidly increased these have been added to from time to time. 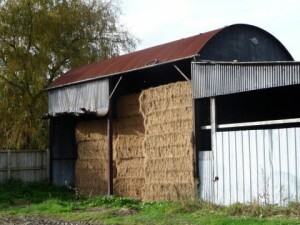 Mr Main had a very long connection of upwards of 36 years with this country and became one of the pioneers of iron hay sheds. Seeing the necessity for such structures in this moist climate he turned his special attention to their manufacture, and by his engineering skill has so perfected the design that Main’s hay barns are now well-known to agriculturalists all over the country. By exhibiting at the Royal Dublin Society’s shows in Kildare Street, as well as the Agricultural shows in the provinces, he became very intimate with the people. He was also an old member of the Royal Dublin Society, and for many years back was a regular and well-known figure at the Dublin spring shows. As one of the oldest members of the Scottish Agricultural Engineers’ Association he was also well known, and seldom missed the shows of the Highland and Agricultural Society. When at the North East Agricultural Society’s shows in Belfast he used to point out the place where in years long gone by the stage coach from Drogheda arrived, and by which he often travelled, and he would remark on the great changes that had taken place since then. Some years ago Mr Main visited India and spent some time there establishing the now very successful and increasing Calcutta branch. Owing to ill health Mr Main retired some little time ago from active control of the business. He was a magistrate, and at one time a leading member of the School Board and County Council. He was highly respected in business and private circles, and the esteem in which he was held by his numerous employees was very marked by the large and impressive attendance at his graveside in the Glasgow necropolis on last Wednesday week, the different works departments and branches each placing wreaths on his grave along with those of his sorrowing wife and family. He leaves a grown-up family, and a son a partner in the firm.